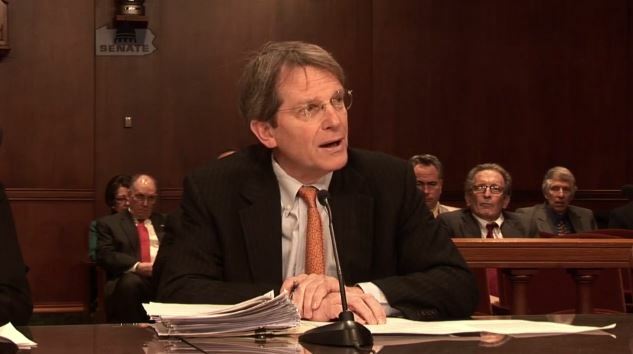 Photo-only appraisals make it too easy for auto insurers to “short-sheet” customers on settlements, an independent appraiser warned a Pennsylvania Senate committee Wednesday. The level of trust deserved by insurers and customers lay at the heart of the Banking and Insurance Committee hearing on H.B. 1638, which would allow appraisers to rely solely on photographs to evaluate vehicle damage for the first time in more than 40 years. If insurers get an inch, will they take a mile? And should customers be protected from themselves and denied a convenience they want? “We know that it reduces the time it takes (to be paid on a claim) … by half” CSAA (AAA) Eastern Region physical damage manager Janine Merlino said. 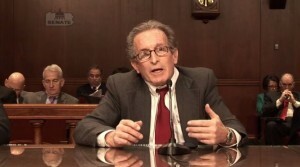 Auto Claims Solutions independent appraiser Charles Barrone told senators he specialized in loss-of-value claims and has testified as an expert witness 66 times in Pennsylvania and nearby states. Short-sheeted appraisals are underwritten, missing hidden and interior damage, Barrone said. “These things would just be never seen,” he said. More people are filing claims but opting not to have repairs done, he said. “They deserve the same settlement” as those who went through the full appraisal and shop process and had damage precisely documented and supplemented, he said. As two repairers demonstrated Wednesday, the appearance of a car in a photograph can vary dramatically from what an appraiser would have seen by inspecting it personally. Even something as simple as a dent might be underestimated in a desk review depending on the angle of the photo’s light source. So as much as consumers want the ability to skip phone calls and waiting for adjustor visits by simply uploading photos, they might not know how much money doing so leaves on the table. “The personal inspection has to remain for consumers to be protected,” said Pennsylvania Collision Trade Guild Director Steve Behrndt, owner of Crawford’s Auto Center. “You can’t fix stupid,” White said. The desk reviews also raise an issue of GIGO: “garbage in, garbage out.” Damage-estimating models such as those referenced by Barrone and AudaExplore government affairs Director Diane Klund are only as good as the data and assumptions on which they’re built. Insurer partnerships with direct program shops can prompt those repairers to bill for and perform fewer repair and refinish procedures, which decreases repair bills and therefore drives down the amount a model would indicate a customer deserves. But the customer is entitled to a “pre-loss condition” vehicle, which means some if not all of those tasks should be performed to deliver it. Behrndt also alleged Wednesday that estimating systems allow insurers to “scrub” claims, removing any line items for which they don’t wish to pay — which if true would further drive down the models’ data. Finally, the models would presumably be further skewed by situations like those described by Barrone, Behrndt and Mark Vettori, president of Hunt Collision Services, where an appraiser misses damage. If the customer just opted to cash a settlement check and close the claim at that point, what should have been a $4,000 payout ends up being logged as a $800 one. The short-sheeting Barrone described simply wasn’t represented by the data, Merlino said. Rental times, supplement rates, and number of repairs were all about the same, and there just wasn’t empirical evidence to support opponents’ concerns, according to Merlino. Finally, there’s the idea of insurer trustworthiness — something that Insurance Federation of Pennsylvania President and CEO Sam Marshall seemed to acknowledged Wednesday. “I recognize the skepticism that any idea that the insurance industry supports may generate, but those are unfounded accusations and fears,” Marshall said. The bill won’t undermine settlement value or allow unsafe cars on the road, he said. “The bill doesn’t short-change our policyholders,” he said. But an exchange between Rep. Thomas McGarrigle, R-Springfield Township, and Behrndt pointed out the reason for skepticism. For about a year, Behrndt said, insurers had been writing photo-based appraisals in violation of Pennsylvania law prohibiting it, prompting complaints from the collision repair industry to state regulators. “So according to the Appraisers’ Act, they’re breaking the law,” McGarrigle said. There’s also a possible double-standard, the two men discussed, in which insurers want to be able to use photo appraisals but won’t always accept shop photographs to justify supplements. Behrndt argued that even though customers wanted photo appraisals, it was a slippery slope.